These are machine woven, wrap-around baby carriers. Made out of Kikoy, a non-stretch, 100% organic mercerized cotton. Featuring lovely bright colours, alluring, and comfortable. This is the perfect wrap for beginner babywearers. Cool in the hot heat of the summer even in a multiple layered carries yet still snug. The colours stay fast maintaining their brilliant hues with minimum shrinkage. How does it wear? Very lightweight, easy to tie, and passes mold as the fabric is flexible. Supportive for a newborn and infant, the Kikoy is supportive and can grow with your Toto into Toddler stage. Kikoy is great for front carry, hip carry, as well as back carry of small babies and toddlers too. Washes nice and easy in the machine, softens very quickly, no long wear needed to break in the wrap. The weave is simple but tightly woven giving it strength and durability. 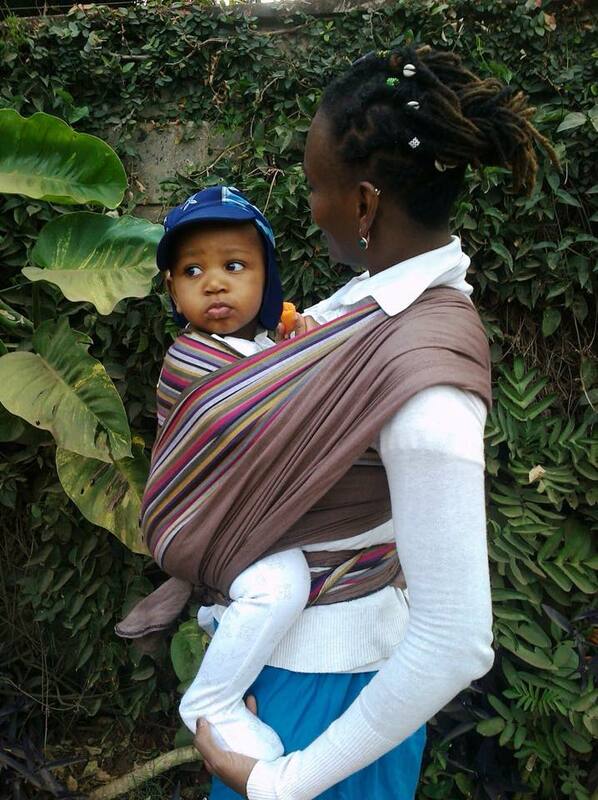 Very nice in a multi-layered carry which allows the wearer be more comfortable while carrying their loved Totos for a long wear while still feeling like there is not too much fabric between the wearer and the baby. Can also be used for postpartum tummy shaper and belly binding. A great way to get your groovy body back after birth. It is common, even a tradition in East Africa to use the Kanga/Leso, a short Kikoy wrap, to tie our tummy back into shape. Why don’t you try this?! where can i buy this from?